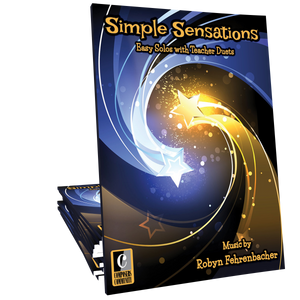 Happy Place is an easy lyrical solo for late beginners, composed by Robyn Fehrenbacher. Its peaceful melody will delight students of all ages, including children, teens, and adults. This is a lovely, interesting piece which is very uplifting. Everyone should have this in their collection. It could be used as a example for composing and a recital piece. Such a wonderful feeling of completion and all is well.